October has come and gone which means it’s time for a new Watch Happening. This is the Bravur BW003, the first mechanical watch of this Swedish brand. It has a sleek case which is 39 mm in diameter and it’s powered by the SW300. A 25 jewel Sellita automatic. When you think of watches that had to do with the exploration of space, the Omega Speedmaster comes to mind. You might even come up with the Seiko 6139-6002, the Sinn 140A or the Bulova chronograph. 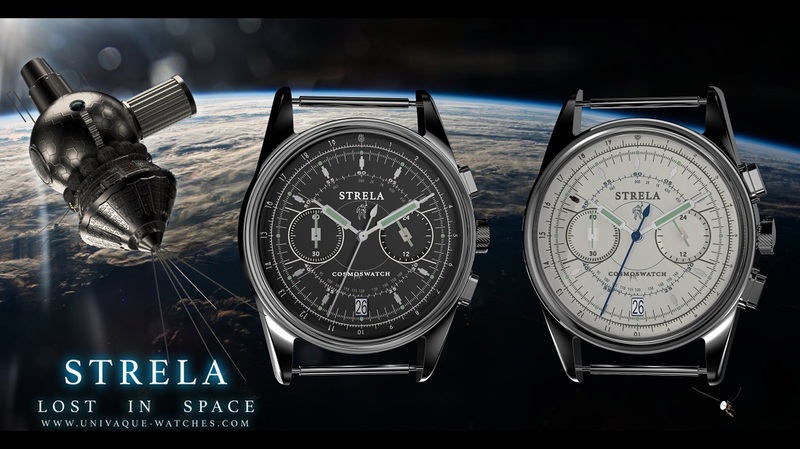 Though, the models which are often overlooked are the Russian pieces, especially the Strela/Sekonda 3017 chronograph. Univaque watches has completely redesigned them and introduced the Univaque Strela Cosmoswatch Chronograph. This is the Loews, Nezumi’s classic dual-register chronograph design. The movement is a Seiko Mecha-Quartz, just as the Vouture. The case also has the same style of the Voiture. One of the differences is that the Voiture has a bezel and the Loews has an internal scale on the dial. Smiths was a giant of the British watch industry. Today, the name has been bought by Eddie Platts of Timefactors but other than that, Smiths isn’t active anymore. The brand is kept alive by enthusiasts and collectors and one of these is James Merrens, who owns the SmithsWatches website. October 2017 is of course known for the auction which included the Paul Newman. However, some other great watches were auctioned as well, including two Speedmaster CK2915s. Check them out.